This sounds like a really interesting story, though possibly a little too sci-fi for my personal tastes. Definitely sounds gritty and intense, though! Great choice! Wow, there's a LOT going on in that blurb. 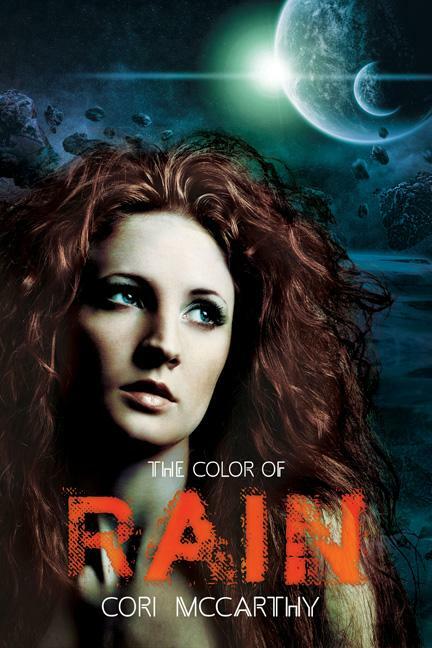 Sounds like The Color of Rain will have a lot of world-building, and I love the Sci-Fi elements; great pick! Um, wow. This sounds kind of amazing. Definitely adding this one to my wishlist since it seems right up my alley. Great pick! Eek, that's quite a summary. I feel like YA sci-fi is really taking off, which makes me happy. But yeah, I'd love infinite time to catch up in various genres. Liviania: I know (about the summary)! Part of me is like: will it be a trainwreck? Must know! A space thriller - very cool pick!